I bought Starforge off of Steam when it was on sale. The game is still in alpha but it is interesting to play. It is a building/survival game like Minecraft which is interesting to me. Just like with Minecraft the Logitech G13 works really well with the game. As with most of my profiles I have put Jump on my mouse. 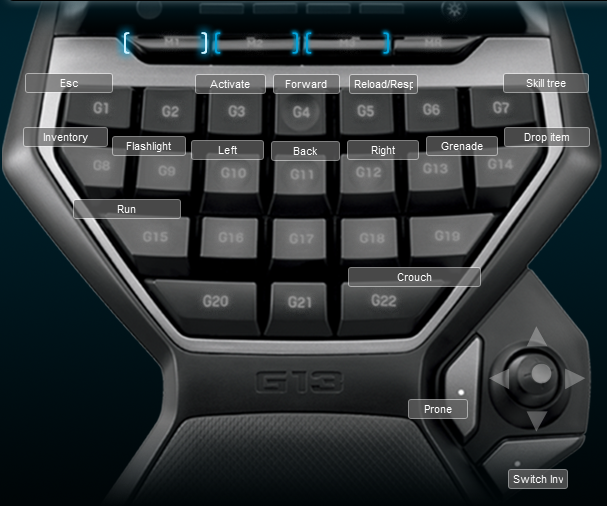 Below is a screen shot of the keyboard layout for the profile.